All my music times incorporate multi-sensory activities. I do this so that all children can find a way to explore and express themselves. 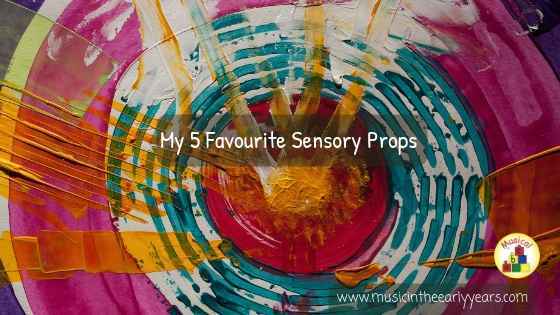 I have selected 5 sensory props that are my favourite although I use many more. Wow, She’s up and Dancing! 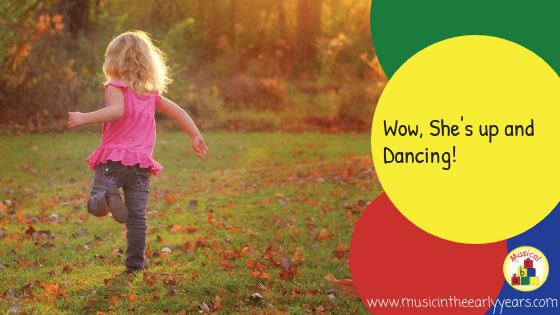 It is amazing how a music activity can help with a child’s self-confidence. 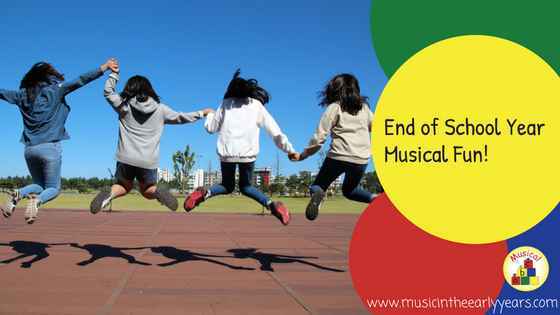 I attended a nursery to do a music time with a new group of children; their response was fantastic and I love how music can bring a smile to a child’s face. The activity I remember most was the listening activity. This activity involved the use of fabric and bubbles. As it was their first session I knew these props would be great to help the children respond to music. Twinkle, Twinkle is a song that is known by most people and I am sure it is one of the first songs that many parents sing to their newborn child. 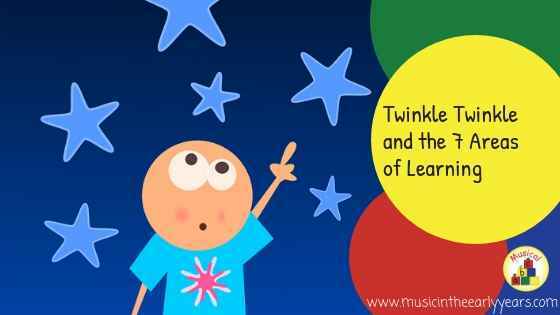 So, with this in mind, how can we use a song like Twinkle Twinkle to help children develop in the 7 areas of learning? End of School Year Musical Fun! Are you looking for early years activity ideas to celebrate the end of the year? I am lucky to be able to listen to the birds singing to each other from my office in the garden. There is one bird, we think it is a blackbird, who sings a very non-bird like tune. It sounds like the start of a song but you never hear it complete; just the same unfinished musical phrase every time. Why am I telling you about this? Do you do a leavers event where you share memories of the children's time in your early years setting? 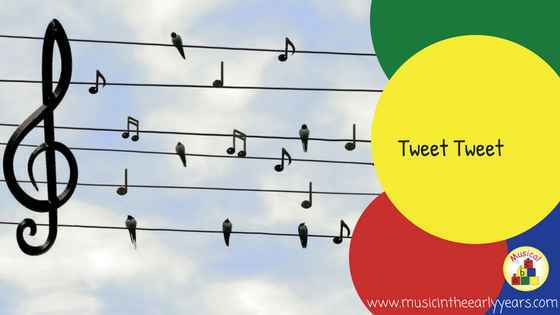 If so, are you struggling to think of pieces of music that you could use to accompany it? 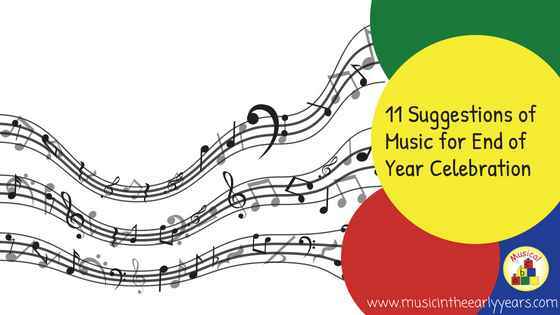 Well, I have listed below 11 happy and/or celebratory pieces of music that you may like to use. There are affiliate links for your convenience. Travel and Transport is a fun topic/theme that the children really enjoy. I usually start this topic with the focus of travelling on the land, e.g getting around by walking or by horse. 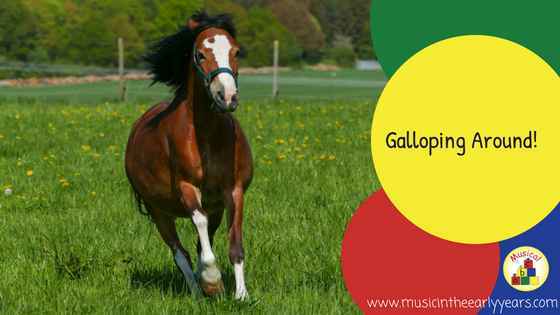 Horse related songs, rhymes and music are great as a stimulus to get children moving as they sometimes struggle to think how to move; having a focus really helps them. e.g. trotting or galloping like a horse. We’re Going on a Journey to the Seaside! Along with the theme Animals, I have found ‘Travel and Transport’ is a firm favourite with the children. 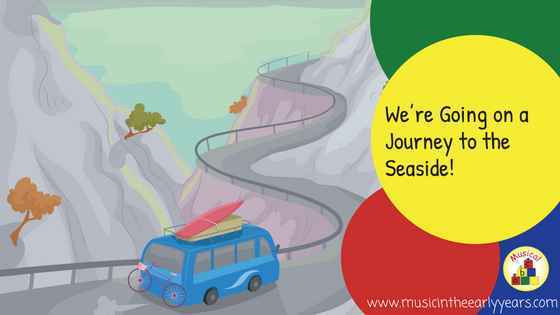 ‘We’re going on a journey to the seaside!’ is a line from a song I wrote to get the children to play with sound; I ask them to make the different transport sounds, with the car sound usually being the favourite! 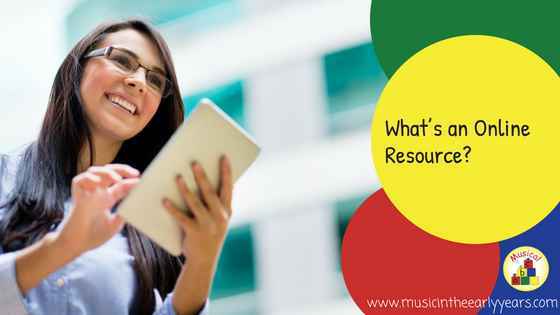 Have you been looking at my online Early Years Music Ideas resource and wondered? Do I need to be technical as it is online? Are there benefits to it being online? 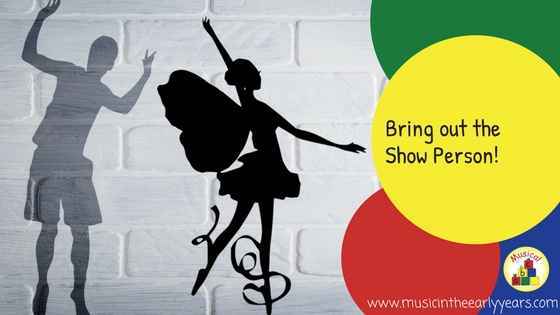 Bring out the Show Person! Who has/hasn’t been to see the Greatest Showman? I’d love to hear your opinion of the film/soundtrack in the comments section below.